Nike Air Max Zero Beige. Who else is hyped for the Nike Air Max LD-Zero H Beige? Landing in a three part collection, this style opts for a muted shade across the upper which is perfect for this colder season. Impressive performance attributes deliver lightweight cushioning and comfort whether you're using as a training or lifestyle shoe. We're guessing most of you will be pairing these with jeans or joggers. Nike Air Max Zero Essential " Black/Red. This Nike Air Max Zero might be a highly anticipated release, as its dressed in the classic Black, Red and White color blend. Featuring a Black and Red mesh upper that includes a solid Black Hyperfuse overlay, with an all-Red Nike Swoosh logo and rests atop a crisp White midsole. 👉You can Find the kicks Now Through undefeated, $130.00. NIKE AIR MAX 90 PREMIUM SE - WOLF GREY/ANTHRACITE/COOL GREY/BLACK. Nike Air Nax 90 Premuim SE - Wolf Grey/Anthracite/Cool Grey/Black. Add to Flipboard Magazine. November 1, 2016 by SportswearFix™. Under the new "Waterproof Pack" Nike brought us here a waterproof premium version of a true classic. The Air Max 90 Premium SE comes with a grey-black colorway. The Air Max 90 has been for decades a fixed place in the retro range of Nike - and not without reason. New colorways are the ones making sure that the 90 does not run out of air, as well as this variant: an absolute blast! SEE ALSO: Top 5 Must-Own New Kicks For This Session. Nike WMNS Air Max 1 Ultra Flyknit ‘blue / white’ . Nike WMNS Air Max 1 Ultra Flyknit " Blue/ White". You can Find the kicks Now Through 43einhalb, € 174.95. Let us know what you guys think of this New Nike WMNS Air Max 1 Ultra Flyknit ‘blue / white’ in the comments section and stay tuned to Sneaker Bar for more images and store listings. KICKS: Nike Air Max 98 x Supreme "Black"
Nike and Supreme worked together once again and this time around the brands are highlighting the Air Max 98. Part of a pack of four colorways, the Supreme is set to release the Nike Air Max 98 x Supreme "Black." The sneaker features a black mesh on black patent leather upper with varsity red accents. Let us know what you guys think of this new podt in the comments section and stay tuned to Sneaker Bar for more images and store listings. FOOTWEAR: NIKE Air Max 90 Royal ‘Black/Tan’ . Footwear: Nike Air Max 90 Royal "Black/Tan". October 1, 2016 by SportswearFix™. The classic, sporty Nike Air Max 90 has seen its fair share of renditions, but this one takes the athletic shoe and gives it a luxurious spin. 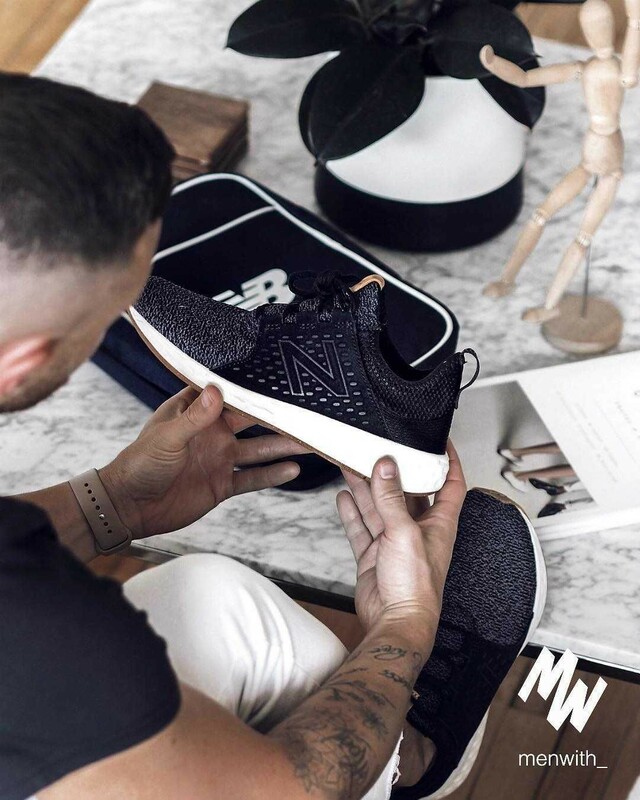 With a stylish and dressy outlook, the sneaker has been constructed from suede in either a gray or black colorway with tan leather panels stitched on around the Air Unit and at the heel. Let us know what you guys think of this new NIKE Air Max 90 Royal ‘Black/Tan’ in the comments section and stay tuned to Sneaker Bar for more images and store listings.